Rhodium-plated sterling silver. 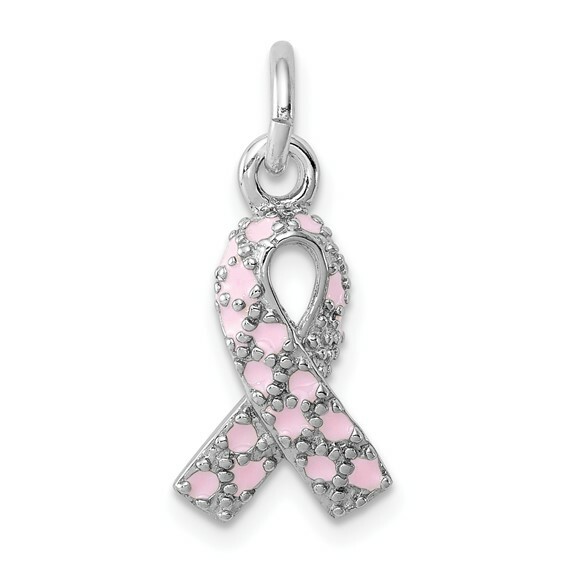 Enameled Pink Ribbon Charm. Weight: 1 grams. Measures 1/2 inch tall by 5/16 inch wide without bail.